There are so much evedence that what we eat matter. The food that we consume every day can kill us or heal us. Dr. Young S. Kim and her team of researchers of The National Cancer Institute of America in July/August 2012 concluded that a poor diet (too much glucose, bad fats, dairy, too much salt, too many refined and junk foods) could cause a cancer to regrow from the Cancer Stem Cells left behind after conventional treatment. Dr. Kim also concluded that certain natural compounds in foods could stop this regrowth. High level of beneficial natural compounds like vitamins and minerals makes it SUPERFOOD. There are few superfoods that can reverse or prevent cancers. Green vegetables long with avocado, beans, carrots, apricots, pumpkins, and egg yolk will give you folic acid if your gut bacteria are strong. This will help your DNA to replicate properly and protect it during radiotherapy. 400 micrograms is a recommended amount. 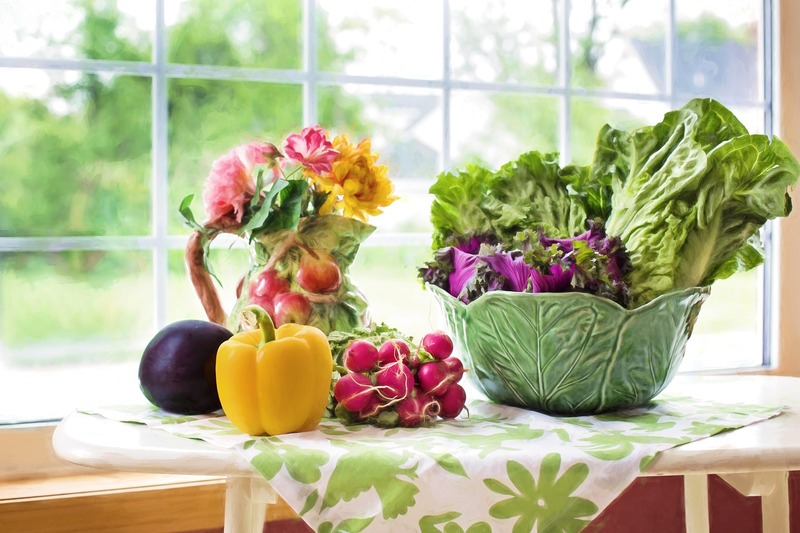 Folate, biotin, choline and inositol, niacin and vitamin B12 are all B vitamins that help in the cancer fight. Niacin has been shown to kill cancer cells. Green vegetables and sprouting seeds are a source of sulforaphanes which have strong epigenetic (gene expression) benefits and have been shown to aid survival from colorectal cancer. A diet rich in greens will help alkalize your body. A slightly alkaline body is important as it improves the performance of your immune system and research shows it stops new metastases. Like other green cruciferous vegetables (cabbage, kale, Brussels sprouts), broccoli contains fibre which helps eliminate toxins. Moreover, the fibre binds to damaging agents in the intestine, and is one of the favorite foods of good, helpful gut bacteria (as are carrots, apples, chicory and onions). 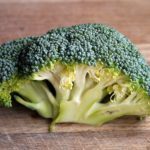 Broccoli also contains indoles, and especially indole-3-carbinol which modifies and diminishes aggressive estrogen action, can modify cellular estrogen receptor sites, and aids in fighting estrogen-driven cancers like some breast, prostate, brain and colorectal cancers. 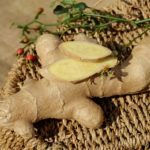 Fresh, raw ginger has a number of very important benefits in cancer. It is a terrific anti-inflammatory agent. It also lowers blood sugar levels, and gingerols have been shown to have effects against prostate, breast, leukemia and other cancer cells. Grate 5 gm or more of ginger each day into your juices. It is also full of helpful vitamins and minerals and is anti-parasitic. It is a truly wonderful food. Active ingredients like allicin seem to act to stop the spread of cancer in a number of ways, for example by stopping blood supply formation for tumors. Garlic also kills microbes and yeasts and anti-inflammatory in the body. It contains selenium, tryptophan and sulphur-based active agents that attack cancer cells. 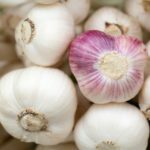 Two or three raw cloves of garlic per day will chase away cancer as well as vampires. 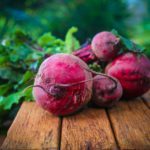 Beets as well as any purple colored fruits and vegetables like cherries, plums, red grapes contain anthocyanins (and sometimes also resveratrol). Anthocyanins have been shown to kill cancer cells; Resveratrrol has research supporting its role in fighting certain cancers like blood and brain cancers. Fish oil will provide long chain omega-3, a powerful anti-inflammatory in the body. Omega-3 has been shown to re-lengthen telomeres, which shorten when you have cancer, putting the DNA structure at risk and reducing longevity. Fish oils also contain vitamin A, an important vitamin in the fight against cancer (herring, mackerel and salmon are top of the list). Fish oils have been linked to reduced levels of prostate, breast and colon cancer. Research shows they help prevent cachexia (weakness and wasting of the body) when having chemotherapy. You´ll also get a little vitamin D from them, another proven cancer-fighter. 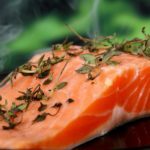 Omega-3 from fish is an important ingredient in your cancer diet. Please note that the omega-3 from flaxseed is short-chain, equally important but has different benefits (for example, it helps oxygenate the tissues and provides essential fiber). : High in zinc and natural vitamin E. Zinc helps vitamin C do its work and accelerates healing time. It is important to a healthy prostate. You need 15 to 25 mg per day. 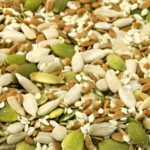 Five tablespoons of sunflower seeds give you 10 mg. Sunflower seeds will also provide a little selenium. Pumpkin Seeds: Can be mixed with the sunflower seeds and added into cereal, oatmeal or snacks. 5 tablespoons will each provide 20 mg of vitamin E, the ultimate cancer buster, which inhibits cancer cell growth and protects immune cells from free radicals. Vitamin E boosts your immune system´s fighting abilities. Sesame Seeds: The unique lignans in sesame seeds can reduce blood pressure and lipid levels. Research shows they can fight inflammation and also cancer! Gamma tocopherol vitamin E reduces inflammation around the body. Both sesame and flax lignans are converted to compounds that can arrest estrogenic cancers. 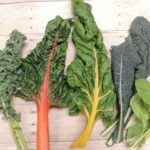 Try to incorporate all of these superfoods into your diet to heal your body and chase away not only cancer but also many other degenerative diseases.